Land transactions sometimes raise issues and problems not present in other transactions. 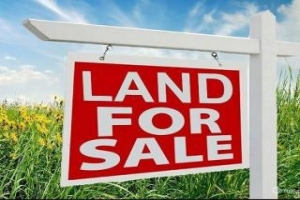 Here are a few tips on how to safeguard your interest as a buyer before buying land or letting go your money in a land transaction. “Land”, “building”, “real estate”, “real property” and “property” are used interchangeably in this article. Before buying land, your preliminary meeting with the land owner (vendor) will enable you inquire into the nature of the vendor’s title to the land (i.e. whether the land was inherited, purchased, gifted, assented, mortgaged, leased, or acquired by the vendor by virtue of long possession). You will have to conduct a physical inspection at the site of the land or building to reveal encumbrances, easement, restrictive covenants or constructive notices. At this preliminary stage, you can reach an informal agreement with the vendor on the fair purchase price of the building or land and on the mode of payment. Where an informal agreement is reached, you have to immediately engage the services of a real estate solicitor to help you avoid costly errors and future troubles which are common with land transactions and could place your interest in the land at jeopardy. Land transactions require extensive investigation. To enable your Solicitor investigate the title of the vendor on your behalf, he or the vendor’s solicitor will draw up a Contract of Sale Agreement for you and the vendor to sign, then you make a deposit of the purchase price of the land – pending the successful outcome of the investigation of the vendor’s title by your solicitor. Without a Contract of Sale Agreement, the Vendor has no obligation to prove that he has a good title in the land. By this obligation, the vendor is bound to put forward his title documents and evidence the root of title in the land and trace the unbroken chain of transactions to himself. Your solicitor will proceed to conduct a search and investigation based on the title documents presented by the vendor. The documents – depending on the nature of the vendor’s title may include Deed of Conveyance; Deed of Legal Mortgage; Deed of Surrender; Deed of Gift; Assent; Certificate of Occupancy; Deed of Assignment; Lease Agreement; Power of Attorney; Declaration of Trust; Survey Plan; Certified True Copy of Court Judgement; Vesting Order; etc. 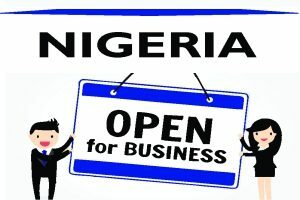 The investigation and title search may be conducted at the Locus, Lands Registry, Probate Registry, Law Court, Corporate Affairs Commission (CAC), the city planning authority such as FCDA, LASPPPA, UCCDA, Economic and Financial Crimes Commission (EFCC), Independent and Corrupt Practices Commission (ICPC), etc. Real property may be a proceed of crime or a subject of investigation for fraud and money laundering. This may warrant your solicitor to carry-out due diligence at any anti-graft agency. Your solicitor’s investigation will reveal the status of the land and any encumbrances or potential problems associated with it. Whether the court judgement vesting title on the vendor has been appeal against or set-aside; etc. Your solicitor will render a legal opinion in writing advising you on any of the issues affecting the land and whether you should proceed to close the transaction. The closing is a significant event in land transaction. Where your solicitor is satisfied with the status of the land, the Deed of Assignment or Deed of Conveyance and other closing papers will be prepared by your solicitor and vetted by the vendor or his solicitor. The agreement will be appropriately explained to all parties by the solicitor(s). The deed instrument will be signed by you, the vendor and the witnesses from both sides. Any outstanding balance of the purchase price will be paid by you. Title in the land shall pass from the vendor to you. The Vendor shall hand over to you the original title documents (and the keys – if the transaction involves a building). You take possession of the land. Where there exist tenants on the property, the tenants shall be issued a notice introducing you as the new landlord of the property. The consent of the Governor confers validity to any act of alienation in land under the Land Use Act. It is mandatory that you obtain the consent of the governor of the state where the land is situated, pay the appropriate taxes (stamp duties) on the instrument and register or file the instrument at the state lands registry (and at the Corporate Affairs Commission – where you are a company). Failure to register the land instrument renders it inadmissible in evidence at a court proceeding. By Section 22 of the Legal Practitioners Act, it is an offense punishable with imprisonment of up to 2 years for any person other than a legal practitioner to prepare any instrument relating to immovable property, or relating to the grant of probate or to obtain letters of administration over a deceased person’s estate. It is therefore compulsory in Nigeria to retain the services of a solicitor before buying land, selling or disposing of any interest in land. This legal restriction is often worth it in the long run as it helps both parties avoid common problems associated with land transactions. Because of the common problems and procedural complexities involved in land and property transactions, the information provided herein is for general informational purposes only and must not be construed as a substitute for legal guidance. If you have any interest in the transfer of ownership or acquisition of an interest in land, it is recommended that you seek proper professional and legal guidance from a real estate solicitor. Request consultations at +2348039795959, 08187019206 | Email: lexartifexllp@lexartifexllp.com | Website: www.lexartifexllp.com. The permission given to freely copy this article is only on the condition that Lex Artifex LLP is referenced and duly acknowledged as the Author using the following format: “This article was written by Lex Artifex LLP’s Corporate and Commercial Law Advisory Group. View the original article at http://lexartifexllp.com/before-buying-land/”. Note that any copyright infringement shall be punishable under applicable law.